To enjoy the health benefits of herbs, it is best to either grow them at home, or buy them organic and fresh from a natural grocery store or farmers market. They are among the most nutritious greens you can find and super versatile. You can toss them into your salad, garnish your soup with them or even add them to your morning smoothie! Talking about nutrients, their benefits are many; be it for spiritual reasons or to spice up your taste buds, or as a home remedy for ailments like cold, or a sore throat; herbs can be handy for each one’s need! Herbs contain unique antioxidants, essential oils, vitamins, phytosterols and many other plants derived nutrient substances, which help equip our body to fight against germs, toxins and to boost immunity level. Herbs are, in fact, medicines in smaller dosages. Parsley – A rich source of chlorophyl, and contains high levels of fiber, carotenoids, vitamin C, folate, and other antioxidants. 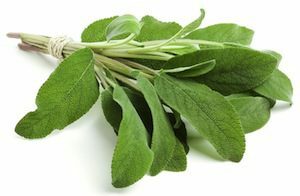 Medicinally, it is good for indigestion as well as treating ailments of the lungs, liver and spleen, and it may help to fight infections of the kidneys, bladder, and urinary tract. Rosemary – Medicinally, it helps to prevent food poisoning, & fight infection. Rosemary is traditionally used for digestive upset and to ease headaches and migraines. It’s also used to treat menstrual disorders and, externally, is used to speed healing in wounds and to t reat eczema. Thyme – Good for helping to treat infectious bronchitis, and diarrhea. Mix one teaspoon of thyme in one cup of water, sweetened with one tablespoon of honey and taken three to four times daily. 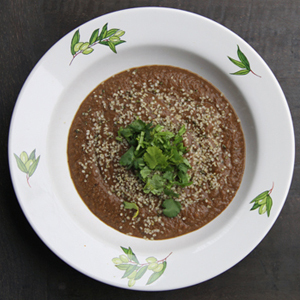 Cilantro – The herb is a good source of minerals like potassium, calcium, manganese, iron, and magnesium. Cilantro is one of the richest herbal sources for vitamin K; provide about 258% of DRI. Vitamin-K has a potential role in bone mass building through the promotion of osteoblastic activity in the bones. Dill – Dill is traditionally used to ease stomach upset and to treat gastrointestinal disorders. In folk medicine, it is also used to treat sleep disorders – particularly insomnia. 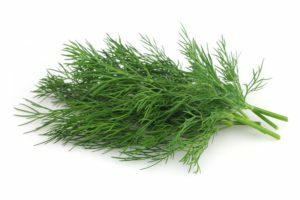 Fresh dill herb is an excellent source of antioxidant vitamin, vitamin-C. 100 g contain about 85 mg or 140% of vitamin-C. Basil – Basil has strong antioxidant and antimicrobial activity. It is traditionally thought to stimulate the appetite and ease stomach upset. In classic Indian medicine, basil has been used to treat everything from earaches and itching to malaria, arthritis and anorexia. you apply peppermint oil to the temples it is thought to help alleviate headaches and migraines. 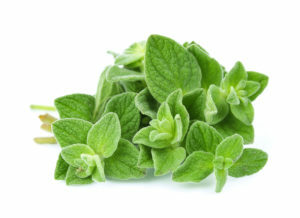 Oregano – Oregano is traditionally used to treat respiratory issues such as stuffy noses and coughs and is an expectorant. In folk medicine, it is also used to treat menstrual cramping and it has very potent antimicrobial activities. 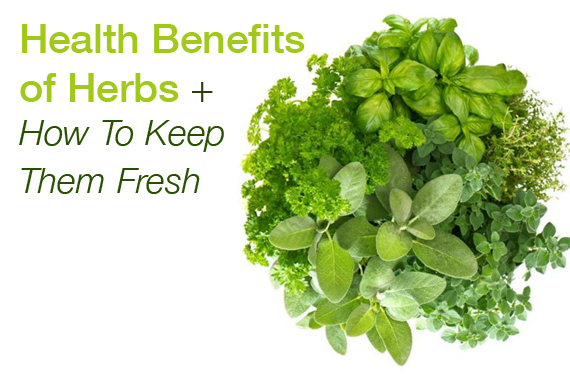 It’s amazing what these herbs can do for us! There is just one challenge…how do you keep these little suckers fresh?! Should they be stored in the fridge? Wrapped in paper towel? Or put in water? Too much moisture on the leaves can turn them slimy, while too little moisture can cause them to dry out. Also, excess light can cause fresh herbs to yellow, and excess oxygen (and sometimes very cold temperatures) can turn them brown. The key is to find the herb’s happy place among these four factors: moisture, light, oxygen, and temperature. Follow the chart below and your fresh herbs will last about two to three weeks, maybe even longer. A final tip: Don’t wash fresh herbs until they are ready to be used — it will add excess moisture. Yah!! That sounds amazing, it is so great that it has helped change your life and I am sure you health and our Environment. 🙂 Thanks for the comment and the suggestion of Everyday Roots Book, we will have to check it out.